4-H Super Saturday – a Success! Copy & paste the URL into your web browser. Note the smiles and fun being had! BMB 4-H is planning on holding Area Demonstrations on May 22 at the Stratton Elementary School. These are starting at 3:30 p.m. BMB is inviting the entire County to participate. Contact Lola Rickey, 4-H Leader, to let her know if your Club would like help getting your youth started. BMB would be happy to assist them. They would appreciate a head count so they can arrange to have enough judges. The Leader Council is still needing two refrigerators to replace the two old and broken refrigerators in the Pop Stand at the Fairgrounds. If you or someone you know has a used, but functioning, refrigerator for sale or for donation, please contact the Leader Council or the Extension Office (509-447-2401) with contact information. There will be a benefit to help support “The Elk Sentinel” on Saturday April 27th at the Inland Grange. Come purchase dessert and/or make a donation to keep our paper’s presses rolling. Contact Heidi Vaughn or Jessica Simon for time and additional information. We will again be meeting on Saturday, August 3, at the Fairgrounds from 9 a.m. until noon to help clean and fix-up the grounds and 4-H building to get ready for the Fair. Wear work clothes and bring tools and cleaning supplies. As usual, each Club is asked to provide food for the free spaghetti feed. The sign-up sheet is below. Please contact Jessica Simon at jessica@knightconst.com to sign-up to bring food and supplies. This April 4‑H’ers across the nation will pledge their hands to larger service – leading positive change that empowers their peers and their communities. True Leaders in Service will officially kick-off the first day of April, and culminate with the National 4‑H Day of Service on Saturday, April 27, 2019. Join the thousands of 4‑H’ers who will venture out into their communities to do what 4‑H’ers do best: lead in service to tackle community challenges and help meet the needs of others. To assist you in working with your 4-H youth to learn global citizenship skills we are creating a series of five Global Citizenship Lesson Plans. The third lesson of the series, titled “A Day in the Life” is available now on the 4-H website at https://extension.wsu.edu/4h/youth/global-4-h/. Washington 4-H International Exchange offers families the opportunity to host a youth delegate from Japan for a 4 week homestay. 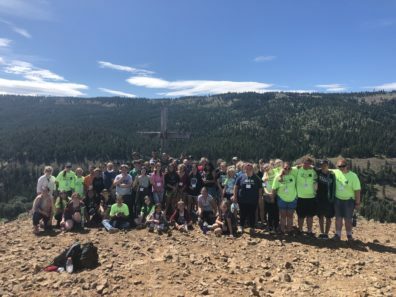 Youth delegates are ages 12-17 and eager to make new friends, improve their English, share their culture, and experience real American family life in Washington. Host families need to have a child of the same gender and within 3-4 years of the delegate’s age and provide a bed and meals. No special activities are required, and host families do not need to be members of 4-H. I am happy to announce that Teen Summit Registration will be opening this Friday April 5th!! There will be a cap on the number of Youth participants that we can have this year at Summit. The cap is 78 youth. We highly encourage you to have youth apply early on in the process, because when the slots are filled registration will close. To make sure we have a high number of youth able to participate at Summit we are holding off on doing Adult registration until after the youth registration close date. Once registration closes we will take a look at where most of the youth are coming from and work with counties directly on finding adult chaperones that could help accommodate youth to and from the event. We will be doing all registrations through 4hOnline again for Teen Summit. What is the Rite of Passage? A nature-based ceremony used to mark an individual’s passage from one stage of life to the next. Our Rite of Passage consists of a three day solo in the East Washington foothills of the Cascade mountains. When is the Rite of Passage? Who Would Be a Good Candidate for a ROP? Please feel free to contact me if you have questions. Please share this with your teens. Due to suspicious activity on the bank account used to issue premium checks, the WA State 4-H Fair has had to close that account. Premium checks for the 2018 fair were issued on November 29, 2018. They are valid for 180 days (until approximately May 29, 2019). As of today, there are just over 200 uncashed checks on this bank account. I am mailing postcards to those with uncashed checks instructing them to return those checks to our office. We will reissue the check on our new account. All 2018 premium checks for reissue must be returned to our office no later than June 1 of this year. After June 1, the original checks are void and will not be reissued. We ask that you remind your 2018 state fair exhibitors to return any uncashed checks to us. Thank you for your assistance and support in facilitating this process. Pigs were diagnosed with porcine epidemic diarrhea virus (PEDV) at the Oklahoma Youth Expo in Oklahoma City, Okla. Several pigs have become ill and show veterinarians assume most pigs that were at the show have been exposed, according to a statement released by the Oklahoma Youth Expo. “PEDV is not a human health risk and pork is safe to eat. However, the disease causes a transient illness in feeder pigs and mature swine. In baby pigs, it can cause up to 100% mortality,” the statement said. This virus is very contagious and can be transmitted easily on fomites such as clothing, equipment and shoes. Because of this, all attendees of the Oklahoma Youth Expo should use the strictest biosecurity measures possible when returning home, urged the Oklahoma Youth Expo. Fill out both sides of the application form completely; read the agreement; then, assuming you agree with the terms of the application, sign and date the form. Give the form to the leader of your club so they can approve and sign each application. or scan and e-mail it to beverly.sarles@wsu.edu with “Attn: 4-H Leader Council” in the subject box. 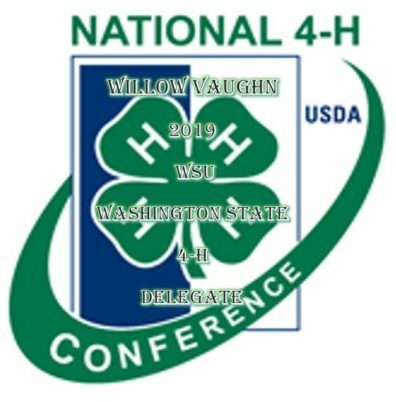 If your youth are not already enrolled, go to 4-H Online https://wa.4honline.com and enroll your youth indicating that you wish to pay by check. Read the youth’s application and then date and sign on the back in the area, below the line, “For Club Use Only”. Come to an agreement, with the parent/guardian, regarding how the application will be submitted to the Leader Council, either by them or by you. or understand that the parent/guardian will be submitting the application. Leader Council reviews and approves the scholarships at the next monthly meeting. The Leader Council Treasurer writes a check for all approved applications submitted that month and sends the check to Beverly Sarles at the Extension Office along with a list of approved applicants. The Extension Office goes to 4-HOnline and confirms the enrollments paid for by the Leader Council on 4-H Online. Parent/guardian should receive an e-mail from 4-H Online to confirm enrollment in 4-H. This training certifies 4-H volunteer leaders to be able to teach 4-H Shooting Sports to 4-H youth. The opportunity for training was offered to Grant County for two weeks and is now open to additional counties. We have two spots left for Shotgun discipline and eight for Rifle discipline. Please send payments to Jeannie Kiehn, WSU Grant County Extension, 1525 E. Wheeler Rd., Moses Lake WA 98837 to hold your spot. Checks should be made payable to “Grant-Adams 4-H Leaders Council”. We are filling up fast! Steve Vonderau, Equine Coordinator at the WA State 4-H Fair, retired from his position following the 2018 fair. The WA State 4-H Fair Board reviewed the position and decided to split the position into a Pre/Post Fair Position, and Superintendent positions for each of the equine sections during the fair. Steve has agreed to fill the Pre/Post Fair Position. By breaking the coordinator position up into several smaller positions, we hope to see an increased interest in filling one of the shorter term positions. Completed applications are due back to the WA State 4-H Fair office by April 1, 2019. 4-H members enrolled in the Horsemanship project enjoy a week of overnight camping, education and recreation with their horses. Camp is packed full of educational workshops, fun camping traditions, and memories that will last a lifetime. 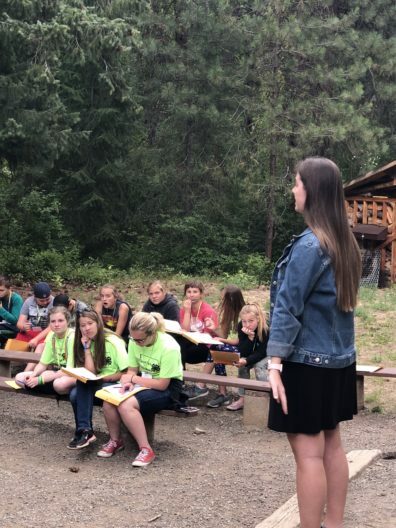 The 2019 Mason County 4-H Horse Camp runs June 22-27. Members enjoy a week of equitation, showmanship and western games classes, trail rides, creative arts projects, and fun outdoor activities. Camp is held at beautiful Panhandle Lake 4-H Camp, a 400 acre tree farm located just outside of Shelton Washington. Panhandle amenities include modern dormitories, a 38 stall barn, riding arena, miles of trails, commercial kitchen and dining hall, a rustic lodge and beautiful lakefront areas for swimming. Please consider joining us for a week of fun and learning with your horse. Camp will be limited to the first 30 paid in full registered campers. Registration will open Spring 2019. ALL REGISTRATIONS WILL BE DONE THROUGH YOUR 4HOnline PROFILE. Visit us at https://extension.wsu.edu/mason/4-h-youth-families/. For additional information contact Camp Director Melissa Seals at 360-280-5458 or macohorsecamp@hotmail.com or the Mason County Extension Office at 360-427-9670 Ext. 681. Registration Packets must be completed and signed by local Extension Staff before submitting to the Klickitat County Extension Office. Links for paying for Registration online will be sent to registrants once completed paperwork has been received. Registration Open until February 28th, 2019. Please join us for the next Leader Council meeting, which will take place on Thursday, March 21, 2019, at the WSU Extension Office. The POC Extension Office is located at: 227 S Garden Ave., Newport WA. The Leader Council meeting will begin at 6:30 p.m. The clubs in Pend Oreille County 4-H are beyond amazing. I hear how well the youth are performing all over the state and it is mind-blowing. I know these achievements cannot be accomplished without great leaders and parents. Thank you! My goal is to bring club leaders across the county together. Each month we meet for a Leaders Council Meeting to plan things for the county. I would love to see a representative from each club. We have various ways leaders can participate. There is Zoom, (video conferencing), phone in, or meet at the Extension office. We really need people to help guide the direction of the program. I know time is a commodity these days so maybe an email that can be added to the News and Views of the things your club is doing would be a great start of bringing all of us together. It is our job to come together and recognize the achievements and to honor the youth who work so hard to represent their club and county. You are a vital piece to insure projects continue to grow. As a county 4-H program we have lost some of that community. Committee members are needed to insure everyone is moving in the same direction. The committees that need to be started soon are: Horse, livestock, demonstrations, fashion, record books, and nominations. Let’s reunite! If you made it this far, I thank you. I look forward to growing with you. by a taco bar for lunch. Swimming and games will follow. Be watching for more details including a class schedule. Attention All Club Leaders! The Leader Council requests that each club, from across the County, teach at least one class on Super Saturday. You will be receiving a call or e-mail from the Super Saturday Organizing Committee to find out what class your kids would like to teach. We respect your privacy, so if you wish to not be contacted regarding Super Saturday, please contact Dixie immediately at d.chichester@wsu.edu or 509 447-6453. We want to wish all the KYG team, safe travels to the Olympia Center, in Olympia. So proud and cannot wait to hear about the experiences. KYG is a hands-on learning conference focusing on a specific aspect of government. The conference topic and curriculum change yearly to keep it relevant to current events and issues. Willow Vaughn, member of Country Pride 4-H, has been selected to go to the National 4-H Conference. Congratulations, Willow!! Our County is very proud of you! Please join us for the next Leader Council meeting to take place on Thursday, February 21, at the WSU Extension Office, 227 S Garden Ave., Newport. The meeting will begin at 6:30 p.m. In February a team of your colleagues will be traveling to Burundi to visit our six 4-H sister schools there and provide professional development for the 4-H staff and teachers working in the program. The number one request from the students in the 4-H gardening program is more 4-H soccer balls! Please note that girls and boys play soccer in Burundi so it will be a gift used by all students. Sheep/Goat and Beef Field Days Coming Soon! 4-H and FFA Youth, leaders and families are invited to attend Youth Livestock Field Days scheduled for Saturday, March 16, and Saturday, March 23, 2019, from 8:30am – 3:00pm each day. Topics covered at the field days include: Selection of project animals, Health Care, Quality Assurance, Biosecurity, Feeding and Nutrition, Fitting and Showing Demonstration, Clipping Demonstration and other pertinent topics. The Sheep & Goat Field day will be on Saturday, March 16, at the Asotin County Fairgrounds in Asotin, WA. Separate tracks will be provided for youth interested in sheep and goat projects. The Beef Field Day will be held on Saturday, March 23 at Lewiston Livestock Market. The cost for each field day is $8 per person and includes lunch and handout materials. Preregistration is requested at least one week before each program. Day of event registration is $10 per person and lunch cannot be guaranteed. Registration is capped at 100 participants for each event. WSU has completed an initial review of I1639 and its potential impact on 4-H shooting sports. Because this is a new law, as the law continues to develop, future changes in procedures may need to be adopted by 4-H.
Standard 4-H requirements for firearm storage already meet the requirements of I1639. 4-H shooting programs are safety and responsible use education programs. It is WSU’s assessment at this time is that the structure of the 4-H shooting programs, practices, and competitions fall within the permissible firearm possession for youth. As always, it is important for 4-H leaders to comply with all 4-H regulations, standards, and guidelines. Additional, or modified, documentation may be required authorizing 4-H leaders to supervise youth at shooting program activities. A review of the current transport of firearms procedures will also be completed to confirm standard processes and required documentation are in place. Continue our focus on safe practices for good results! 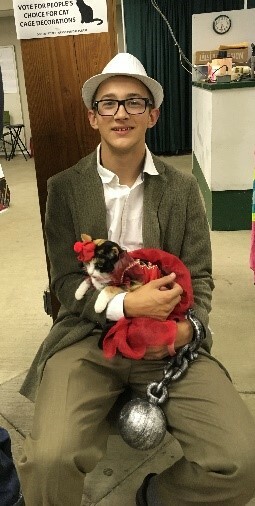 Paws-N-Claws 4-H Club in Jefferson County would like to invite all 4-Hers in the WA State 4-H Cat Project to their March 9th 4-H Cat Show in the 4-H Building at the Jefferson County Fairgrounds in Port Townsend. This is a pre-entry only show. Entries are due by March 2nd. Doors will open at 8am. Show will begin at 10am. The cage theme is “My Favorite Book”. For information, please contact 4-H Leader Laurie Hampton at catwoman@olympus.net or 360-437-2388. Watch WSU Women’s Basketball with 4-H Promo Code – March 3rd! Mark your calendars for 4-H day with WSU Women’s Basketball! March 3, at 12:00pm, the WSU Women’s Basketball team will be featuring 4-H, including games for 4-H kids at half-time. If you’d like to purchase tickets, use promo code “4HDay” and tickets will be only $3.00! It’s never been a better time to watch WSU Women’s Basketball. University of Idaho is hosting three Level 1 Shooting Sports Instructor Training sessions. February 22-24 in Caldwell and Emmett Idaho will see Archery, Pistol, Rifle, and Shotgun. April 13-14 In Coeur d’Alene Idaho will see Archery, Hunting, Pistol Rifle, and Shotgun. April 26-27 in Rigby Idaho will see Archery, Pistol, and Rifle. 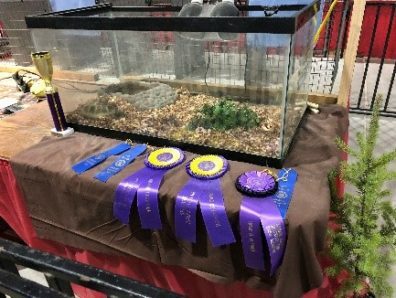 If you are interested in participating in the 2019 State Hippology Contest, registration forms are due by April 1st. The WSU College of Veterinary Medicine is hosting their 6th Annual Horse Course on March 2nd, 2019 in Pullman, WA. Courses include: Overweight Horse Management, Dentistry Demonstration, Physical Exam, Parasitology and more. Tickets are $40 per individual or $35 in groups of 10 or more. To purchase tickets, contact Analiese Wenger (analiese.wenger@wsu.edu). All club Treasurers and their adult advisors should plan to attend “Fun with Sums”, a training to help club Treasurers manage their club’s finances. The training will be held on Friday, January 18 from 4:30-7:30 at the WSU/Pend Oreille County Extension Office at 227-A South Garden Avenue in Newport. There will also be an internet Zoom link available for those who are unable to attend the training in person. All Treasurers should bring their club’s financial ledgers, check books and other club Treasurer’s supplies so you can share your club’s practices and ideas about what works best for your club. Everyone should also bring a healthy snack to share to get us through the dinner hour. Each participant will receive an updated “4-H Treasurer’s Book” to take back to their club, as well as lots of new ideas to take back to their clubs. The training is provided by Beverly Sarles and Dixie Chichester. Call 509-447-2401 to register. The Reporting Year goes from October 1, 2017 through September 30, 2018. Contact the Extension Office at: 509-447-2401 if you have questions or need additional information. Thank you! The 4-H Leader Council will review and update the Leader Council By-laws and continue planning for Super Saturday. Representatives from all clubs are requested to attend. A Zoom link will be emailed just prior to the meeting. The Leader Council is beginning to plan for another FANTASTIC Super Saturday in 2019. The tentative date is Saturday, March 9 at the Camas Center in Cusick. Each club will be asked to organize a class or activity, so please be thinking what your club is good at and would like to share with the other clubs in the county. Details will be discussed at the next Leader Council meeting on Thursday, January 17 at 6:30 p.m. at the WSU/Pend Oreille County Extension Office in Newport. PLEASE plan to attend; the Council would love to include ideas from all clubs throughout the County. Contact Heidi at lostinelk1@gmail.com for more information. Register for Know Your Government Now! Don’t wait to apply for this amazing civics conference opportunity. Regular registration ends on January 14th. On that date the cost will increase from $295 to $340. Registration is through 4HOnline. WSU Whitman County Extension is hosting the American Youth Horse Council Symposium on March 8-10, 2019 in Pullman, WA and Moscow, ID. This event brings together youth and youth leaders from all facets of the equine industry for three days of live demonstrations, presentations, education, discussion, exhibits, awards, and, of course, fun for all. This location offers participants the opportunity to visit a number of equestrian facilities in the Palouse region including the Appaloosa Horse Club and Appaloosa Museum & Heritage Center, Washington State University’s College of Veterinary Medicine, McKinlay & Peters Equine Hospital, Hickman Saddlery and more. This event presents an opportunity for adult and student leaders in the youth horse industry to come together to learn, network, share ideas and grow as an industry. The 2019 event will boast many nationally respected presenters assembled to share their keys to successful youth horse programming and horse management. 4-H Leader training for all new adults enrolling in 4-H will be presented on Thursday, December 13 from 5-6 p.m. at the Newport Extension Office just prior to the next 4-H Leader Council meeting. Leaders: Please make sure all your newly enrolled adults know about this training. They will not be confirmed as Leaders unless this training has been completed. The training can be completed in person or via Zoom over the internet. A Zoom link will be sent out the day before the training. Please register so I will know how many packets to put together. If you plan to Zoom in to the training, you will need to pick up a packet in advance or arrange for it to be mailed to you. Contact Dixie Chichester; d.chichester@wsu.edu ;509-447-6453. If you need training, but are unable to attend on December 13th, please contact Dixie to arrange another training time. Please join us for the next Leader Council meeting to take place on Thursday, December 13, at the Extension Office, 227 S Garden Ave., Newport. This meeting will begin at 6:30 p.m.
Washington State 4-H Advisory Board Needs You! The Washington State 4-H Advisory Board is looking for teen board members. 1 year appointments are available in all districts. They are only 5 teens short of a full board! Make an impact on 4-H statewide by applying to be a board member. Information can be found at https://extension.wsu.edu/4h/state-advisory-board. WSU 4-H has selected Verified Volunteers™ as the vendor to conduct our background screens. This service is an online service and sends the results of your screening to both you and the county 4-H office. Your consent to conduct the screen is collected during the online process. When you have been notified, please complete this screen as soon as possible. Failure to complete the screen may result in your enrollment being suspended or not approved. Feel free to contact our office with any questions. Thank you for your cooperation as we learn these new systems together! Has your club done any fundraisers or received any donations? Does your club have a bank account? Walla Walla County is offering a rifle and pistol shooting sports leader training on December 1, 2018. The registration deadline is November 21st. Cost to attend is $50 which includes lunch and dinner. If you are interested in attending, contact Melanie Owens for the registration form at mowens@wsu.edu or call 509-524-2685. The Washington State 4-H Advisory Board is looking for teens to fill positions. Terms are 1 year and are available in all districts. Find out more at https://extension.wsu.edu/4h/state-advisory-board. The PO County Extension Office will be offering “Financial Training” for all club treasurers and club treasurer’s adult advisors sometime during the first two weeks of January of 2019. Together, all club treasurers will learn and practice everything they need to know to run their club’s finances efficiently and according to state and county required procedures. This will be a 3 hour training and all 2017-18 club treasurers are also invited to attend the training to share their “best practices” and give advice to the new treasurers. Please send an e-mail to d.chichester@wsu.edu to help us determine location, date and time for the training. When you e-mail, please state if you prefer a week day evening for the training or if a Saturday or Sunday training would be preferable. If you choose a weekend day, what would you prefer: morning, afternoon, or evening? Also, please let me know if you would be able to meet in Cusick, since it is more centrally located for all our county clubs. Please join us for the next Leader Council meeting to take place at the Extension Office, 227 S Garden Ave., Newport. The meeting will begin at 6:30 p.m.
-Western Dressage will be added to the Performance/Dressage Sections. To allow for a gradual introduction, it will not be necessary to qualify for this class prior to the 2019 fair. -All equine exhibitors will be allowed to enter one additional riding class in each section. Intermediate participants may ride in five classes, while senior participants will be allowed to ride in six classes. -The performance and dressage sections will continue to be combined into one section for 2019, with minor changes as listed in the schedule below. -Exhibitors may have two horses in the performance/dressage section if the county allocation allows. Both horses must qualify in fit/show at the county level. The rider will determine which horse will be used in fit/show at the State 4-H Fair. The fit/show horse must be ridden in at least one riding class at the State 4-H Fair. The county will determine additional qualifying requirements. Wed, Sept 4 – Senior Dressage Arrives, 5-7 p.m.
Thurs, Sept 5 – Dressage Classes; Senior Performance Arrives, 5-7 p.m.
Mon, Sept 9 – Sr Performance Classes; Sr Performance departs at 2 p.m.
Tues, Sept 10 – Harness Arrives, 5-7 p.m. 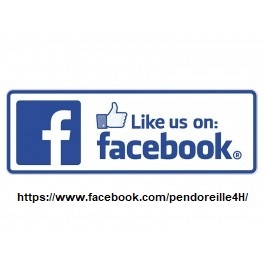 Wed, Sept 11 – Harness Classes – Fit/Show and Harness Classes; Harness departs 2 p.m.; Senior Western Games Arrives 5-7 p.m.
Sun, Sept 15 – Senior Western Games – gaming events; Senior Western Games departs at 2 p.m.; Intermediate Performance/Dressage Arrives 5-7 p.m.
Thurs, Sept 19 – Int Performance/Dressage – classes; Int/Performance Dressage departs at 2 p.m.; Int Western Games arrives 5-7 p.m.
Sun, Sept 22 – Int Western Games – gaming events – depart by zones starting at 4 p.m.
Additional information and logistics will be announced as we work out those details in preparation for the 2019 fair. Happy New 2018/2019 4-H Year – 4HOnline Enrollment Now Open! Enrollment in 4HOnline is now available for families and members. Please note: The minimum age for certified adult volunteers has been reduced from 19 to 18. A youth who has reached their 18th birthday upon enrolling will have the option to enroll as a youth member or an adult volunteer. They cannot be enrolled as both and must choose. Once a member has elected to enroll as an adult volunteer, they may not revert their enrollment back to that of a member. This change will be reflected in the new policy document that is currently in its final stages. Adult volunteers must be screened, receive 4-H trainings, and undergo background checks. Leader Council will again be offering scholarships to any youth associated with our County’s 4-H clubs who finds paying the 2018-19 4-H $25.00 enrollment fee a hardship. Scholarship application forms will be handed out at the next Leader Council meeting. Plans are also underway to make the form available in other ways. Watch the monthly News and Views newsletter for further information. Any families wishing financial assistance from the Leader Council to help pay for expenses related to attending State Fair, may submit a request, along with receipts, to the Leader Council at their next meeting on Thursday, October 18, at the WSU/Pend Oreille County Extension Office meeting room, 227-A South Garden Avenue, Newport. Please attend this meeting if you wish reimbursement. There will be a 4-H “Meet and Greet” at Stratton Elementary School in Newport on Wednesday, November 7th from 6 p.m. until 7:30 p.m. Anyone interested in acquiring information or joining a 4-H club in the Newport area should plan to attend. We need teen volunteers to help with activities for the kids and, also, adult volunteers to be available to answer questions about 4-H and their clubs from new parents/leaders. Please plan to attend. Contact Dixie, d.chichester@wsu.edu or Alex, alex.laughery@wsu.edu if you can help. Fundraising by County clubs and Leader Council has resulted in a healthy balance in the Leader Council checking account. Would you like to have a say in how these funds are spent? The Council will also be nominating new officers and voting in November. Please attend or send an adult representative to the next Leader Council meeting on Thursday, October 18 at the WSU/Pend Oreille County Extension Office meeting room, 227-A South Garden Avenue, Newport. Teen youth are always welcome to attend meetings as well. The meeting will begin at 6:30 p.m. The refrigerators in the Pop Stand at the Fairgrounds need to be replaced. Please contact the Leader Council through the Extension Office if you know of a reliable refrigerator that you or someone may wish to donate or sell to the Leader Council for a reasonable price. A commercial refrigerator would be preferred, but Leader Council is willing to consider anything. Now that the 2017-2018 4-H year is over, please log on to the WSU Volunteer database to log all the hours you have volunteered for 4-H in 2018. Hours must be entered by December 31. Logging your hours is a State requirement and insures you are eligible for all the WSU benefits you receive as WSU Extension Volunteers. As of now, only 14 4-H volunteers have logged hours in the database; that is only 41% of our certified adults. Club leaders, please talk to the adults associated with your club to verify they are logging their volunteer hours. If you have trouble logging in or forgot your username and password, please email or call Dixie at d.chichester@wsu.edu, 509 447-6453. LuLu Lukas participated in the Interstate Fair in Spokane. Thanks for sharing your experience with us, LuLu! Congratulations to Aaron and Logan Simon of the Country Pride 4-H Club! 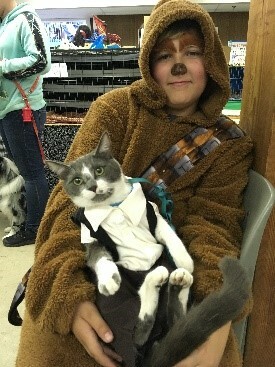 Aaron and Logan got the reserve champion for costumes. Aaron and Lil’ Tart were Bonnie and Clyde. Logan and Spock were Chewbacca and Han Solo. The Extension Office would love to hear from other youth who participated at State Fair. 30 Days of Doing is a chance for kids across the nation to do with purpose through hands-on learning. Through activities in agriculture, STEM, community service, healthy living and more, 30 Days of Doing will help kids gain the skills they need to be successful in life—and have fun along the way. Enter the Inspire Kids to Do Contest and you could win a $10,000 scholarship for your kid – and your state 4-H program could receive $10,000! Submit a photo that shows how your child inspires themselves or others to do with purpose for themselves, their family, their community, their country or the world. Enter now and you’ll receive an “Inspire to Do” List with 30 fun, hands-on activities to do with your kid and a comprehensive 4-H “Inspire to Do” Activity Guide after the contest closes. Save the Dates for Teen Rally! Teen Rallies are a weekend get-away for 4-H members grades 7-12. Don’t miss the opportunity to attend educational workshops, build leadership skills, and expand relationships with your peers! Put the following dates and locations on your calendar! More details to follow. Keep an eye on https://extension.wsu.edu/4h/youth/camps/ for updates. Copy and paste the following URL into your internet browser to view a quick video and photos from the Fair. Thanks for your participation. We appreciate all that you do for our communities and for the youth of Pend Oreille county! Please join us for the next Leader Council meeting that will take place on Thursday, September 20, at the WSU Extension Office, 227 S Garden Ave., Newport. The meeting is scheduled to begin at 6:30 p.m. Thanks to all of you who volunteered last Saturday, August 4, cleaning and preparing the 4-H building, pop stand and fairgrounds, in general, for the County Fair. We had 139 people sign the sign-in sheet. Thanks also to all the 4-H clubs that donated food to provide the spaghetti dinner. It was a fun day for all; the Fair Board was very appreciative. See you at the Fair! The 4-H Leader Council and WSU/Pend Oreille County Extension would like to invite everyone to attend “4-H Rocks”, a 4-H youth and adult recognition event at 2:00 p.m. on the last day of the fair, August 19, at the livestock arena. Leaders will be presenting 4-H membership and project pins to youth, and the Extension Office will be recognizing some of our outstanding adult volunteers. This will be a fun and entertaining way to say “Thank You” to all the hard work that goes into making our County 4-H programs such a great success. Please plan to attend. As usual, all our County 4-H clubs have been assigned to work shifts at the Pop Stand throughout the fair. Please check at the 4-H building, on the first day of the fair, to confirm that your club will be able to cover your shift, or reschedule if you need to trade shifts with another club. We also need additional help at the back gate and in the 4-H building. All sign-up sheets will be available in the 4-H building starting on Wednesday, August 15. THANKS! Due to the County Fair there will be no Leader Council meeting in August, 2018. The next meeting is scheduled for Thursday, September 20, 2018, at the WSU Extension Office, 227 S Garden Ave., Newport. The meeting will begin at 6:30 p.m.
Hey Everyone! It is that time of year again for us to gather at the Fairgrounds in Cusick for 4-H Fair Work Day, starting at 9 a.m. Please wear work clothes and bring rakes, shovels, wheelbarrows and gloves if you have them. Also, we plan to provide a spaghetti dinner for all the workers. Therefore, we need clubs to donate the food. Please see the list below and then e-mail Jessica Simon (jessica@knightconst.com ) to let her know what your club will donate. Ground Beef (pre-cooked) 15 lbs. The Country Pride 4-H Club has signed up to bring desserts. Please take time with your club to make a poster to display in the 4-H building during the fair. Fair visitors love to look at photos or displays that show what your club has accomplished during the year. The theme of the fair this year is “Fun for the Whole Herd” and the colors are black and white. Let’s show everyone what 4-H is all about! The Kalispel Tribal Extension Office wants to give a big Thank You to Diane Lukas for her help in finding donations for one of the Tribal Community Gardens. In June, the garden at the Camas Wellness Center was vandalized and all of the plants were removed from the ground. This was heartbreaking as the plants that were planted were all brought up by seed from the youth in the after-school program. After hearing about the incident, Diane went to the Plant Man in Newport WA to share what had happened and consequently, the Plant Man donated several plants to the youth. Diane wasn’t done there. She went to Facebook to let people know what happened, and secured more donations and support. From that post we have all been reminded about how giving and great the community is that we live in. For the days that followed we received emails and phone calls from people wanting to donate plants that they had left in their greenhouses. When it was all said and done we had more than enough plants to replant the youth garden at the Camas Wellness Center. After we completed our planting in the gardens, we had so many plants leftover that we were able to donate a car load of plants to the food bank in Cusick, WA. THANK YOU again to everyone who help get this Community Garden replanted! It meant a lot to the Youth and Staff at the Camas Center. This goes to show that it doesn’t hurt to ask for help, and that our voice is a strong tool in creating community. To kick off the month, we had five youth that participated in this year’s Teen Leadership Summit! While at Teen Summit, our youth learned the importance of Positive Youth/Adult Partnerships, Leadership Skills, and Goal Setting. Along with gaining these new skills, they were able to meet youth from around the state and learn about fun and exciting activities that different counties are doing. In addition to the five youth that participated in Teen Summit, we had two Pend Oreille youth serve on the planning team. Willow Vaughn and Mettea Sigfrinius both serve as Washington State Ambassadors, the highest youth leadership position in Washington State 4-H. These two girls spent many hours before the event planning and preparing all the great materials that 60 youth from this year’s Teen Summit took home. 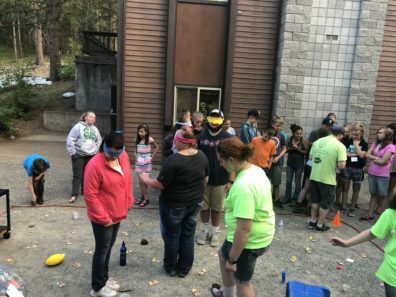 This event is one of many that Pend Oreille County is looking to get our teens involved in! If you have teens that are interested in expanding their leadership skills, want to plan fun/educational events for the county then please come join us at our Teen Group Meetings! For more information about events and meetings please contact Alex Laughery at 509-901-9047 or by email at alex.laughery@wsu.edu.